How long do German Shepherds live? Their life expectancy is something that all owners of the breed are interested in. Of course, it is. Honestly, one of the first things I think about in my pets is how long we’ll have together before I have to say goodbye. It’s a tough thing to go through, so it’s a question worth asking. I recently came across a question about German Shepherd life expectancy in one of the forums from a woman whose Shepherd was already about 13. That made me very sad because, on average, German Shepherds life between 11 to 13 years. Thankfully, she made no mention of any specific health issues, which gives me hope that she and her faithful companion will still have several years together. Remember, 11 to 13 years is just a general range most commonly found. It can be longer, or it can be shorter, depending on other factors. What Is the Life Span of a German Shepherd? Just like with all dogs, a lot of factors go into determining the life span of a German Shepherd. Let’s take a look at a few of the most common questions and answers! What is the lifespan of a female German shepherd? It’s normal to wonder if there is a difference in the lifespan of a female German shepherd versus a male. In the human world, women typically live a bit longer than men, right? Well, in the dog world, you really don’t see that difference. Females and males both live between 11-13 years. I’ve also seen questions like “how long do white German shepherds live?” The answer remains the same, regardless of whether your dog is male or female, white, black and tan, or purple. Just kidding about the purple part, there are no GSDs that color! How old was the oldest German shepherd? It’s hard to find out exactly how old the oldest German shepherd was because the Guinness Book of World Records doesn’t really cover the 2nd, 3rd, or 4th oldest dog on record. Right now, an Australian Cattle Dog holds the world record for reaching age 29. However, there are unverified reports of GSDs living all the way up to 20. 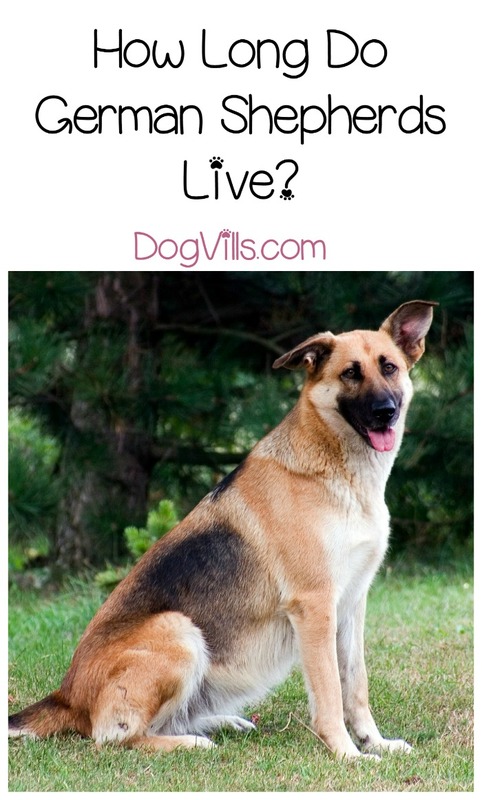 How long do German shepherds mix breeds live? 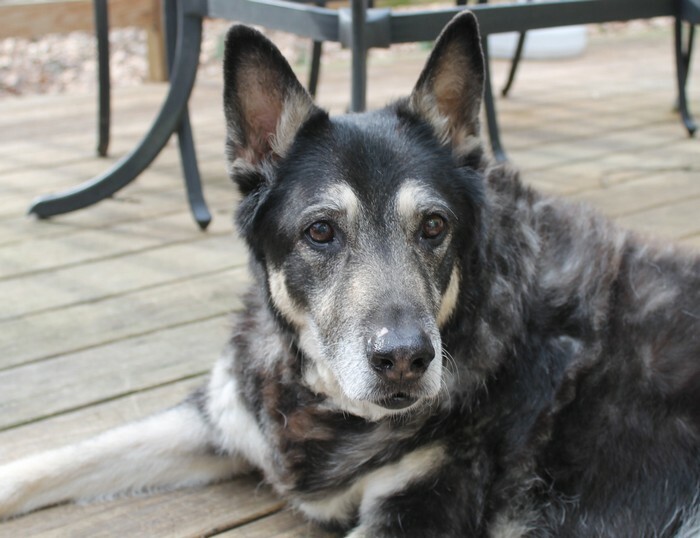 German shepherd mix breeds may live a bit longer, depending on what they’re mixed with. In general, pure-bred dogs tend to have more health problems than mixes (this can be avoided in some cases by going through a very reputable breeder who does genetic testing). I’m still going to stick with the 11-13 years, even though I had a GSD with just a touch of lab in her that lived to be nearly 15, so it’s possible. It all really depends on the mix. For example, if you’re trying to figure out “how long does a German shepherd husky mix live?” the easiest way to find your answer is to average out the two numbers or go from lowest to highest. A husky lives 12-15, a GSD 11-13, so you can either assume 11-15 or 11.5-14 years. How long do Belgian Malinois live? Okay, first, totally different dog, but I often see this question along with the one about a German shepherd lifespan, so I thought I’d add it. A Belgian Malinois actually lives a smidge longer than a GSD, with a lifespan between 12-15 year on average. While generally regarded as being a terribly unhealthy breed in the past, responsible breeding is changing that. Many of the issues once common in the German Shepherd are now rarely seen due to the cessation of breeding animals with those genetic conditions. However, German Shepherds are still prone to two very serious problems: hip dysplasia and degenerative myelopathy – a progressive deterioration of the spinal cord. While neither of these conditions directly determine German Shepherd life expectancy, they do play a secondary role in lifespan due to quality of life issues. ►►Are German Shepherds good family dogs? We think so! Find out why! Hip dysplasia is a condition in which the head of the femur doesn’t properly seat in the socket of the hip bone. At first, there are no signs, but over time this change. As the malformed ball and socket interact, they rub and grind, causing stability and motor issues as well as pain. In mild cases, the disorder can be treated and controlled with medications, while severe cases often require surgical repair. It’s important to have your German Shepherd examined by a vet to determine if your dog was born with this congenital defect. FYI, I’ve seen people ask “do German Shepherds like baths?” While it depends on the dog, if yours does, a warm bath is soothing for their aching hip joints. Wondering how many hours do German shepherd puppies sleep? Check out our guide to sleeping pups! This one has a more direct effect on German Shepherd life expectancy because it severely limits a Shepherd’s quality of life. In addition to that, as large breeds, they can be hard for owners to maneuver them out the door for going potty and cleaning – no matter how much the owner wants to do it. This disorder is common in German Shepherds and often presents in the latter stages of life. Degenerative myelopathy is a progressive deterioration of the spinal cord. It begins with ataxia – difficulty controlling limbs – and by the end of it, the dog is unable to control his hind end. Although not all Shepherds will experience this, it is common in the breed. And there’s no test for it. Your Shepherd will either get it, or he won’t. While the average life expectancy may be 11 to 13 years, I have seen some Shepherds still up and walking around reasonably well at as old as 17. Then again, I have seen young Shepherds succumb to diseases at as young as 5 years of age. When it comes to German Shepherd life expectancy – like any dog’s lifespan – there are a few things you can do to ensure your dog lives as long as possible by keeping him as healthy as possible. Proper Diet – Feed your dog a high-quality dog food with only a few treats in a day for training rewards or to help keep teeth clean. I’ve seen some questions about whether German Shepherd can raw meat. While I’m not a huge fan of the DIY raw diet, yes, they in theory, they can. That doesn’t mean you should feed it to them, though, unless you’ve done all your research. Proper Weight – Closely related to proper diet. Do not allow your Shepherd to get fat. This will only increase the likelihood of developing joint issues, which the breed is already prone to. German shepherds LOVE to exercise. Take them swimming, play fetch, run around together in the snow, or just go for walks. These are NOT lazy dogs. So to the question: do german shepherds like to swim & Fetch? The answer is YES. Exercise – One of the best things for joint health is movement. So keep your German Shepherd active, even as he ages to keep those joints working. Fish Oil – The fatty acids found in fish oil have been shown to help join health as well as contribute to overall health. Glucosamine – The jury is still out on this one. Some studies say it helps with joints. Some say it doesn’t. I know I have witnessed improvement in joint function among patients who’ve taken it and among two of my dogs, as well. Do German shepherds like cats? Some get along great with them! 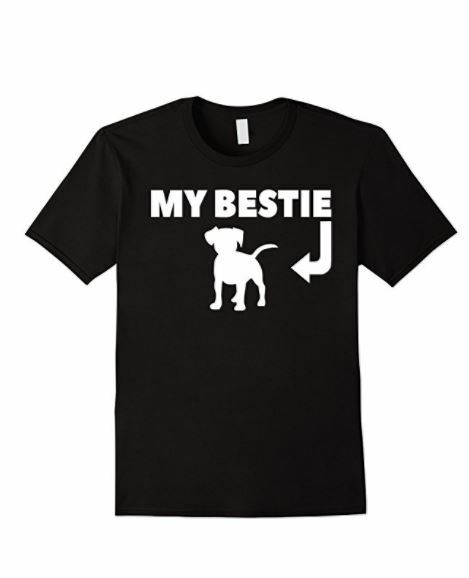 Learn more about cats and dogs getting along here! If you have a German Shepherd, you’ve probably already asked yourself about German Shepherd life expectancy. I hope this post helps you in that regard, as well as in helping you extend that life for as long as possible. Remember, they key to increasing German Shepherd life expectancy – or any breed, frankly – is proper care both at home and at the vet. Did you have a German Shepherd who exceeded the life expectancy for the breed? How long did your GSD live?